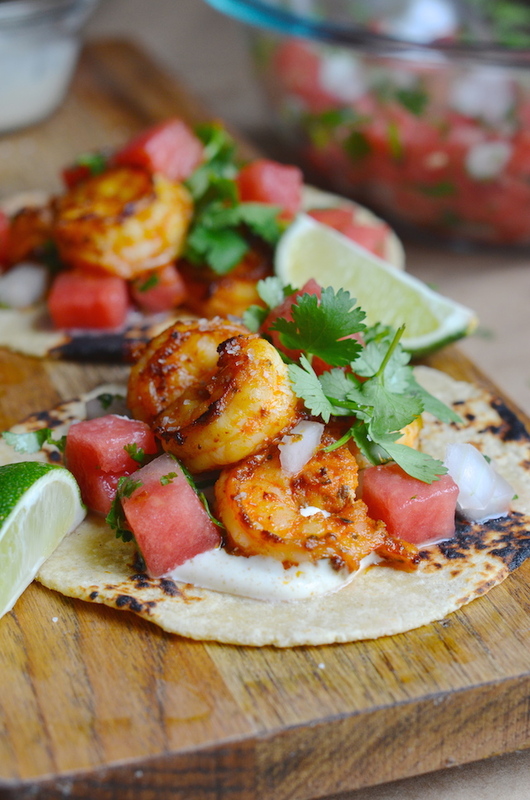 The first few days of summer weather were the inspiration behind these spicy Shrimp Tacos with Watermelon Pico de Gallo. Quick and easy shrimp tacos are a go-to meal on those glorious long days when all you want to do is lounge around or be outside as much as possible. Because summer is all about things that are easy. 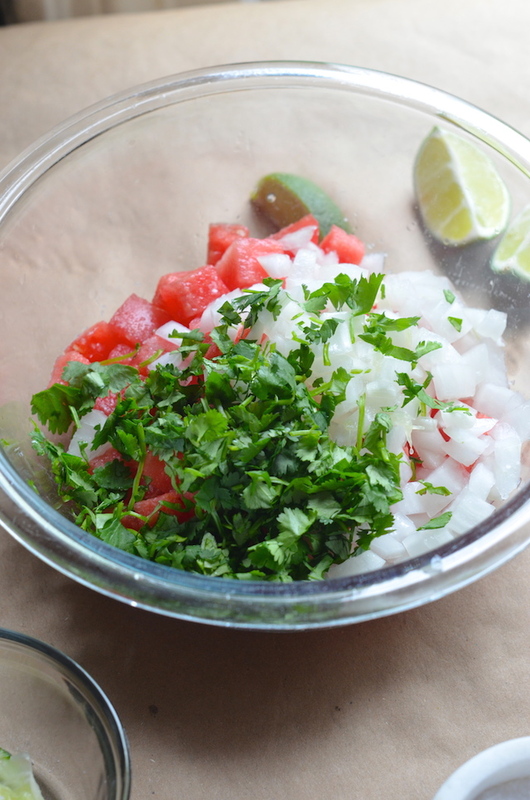 The shrimp marinate in just a few minutes while you prepare the simple watermelon pico de gallo (helping yourself to several bites of cold sweet watermelon along the way). 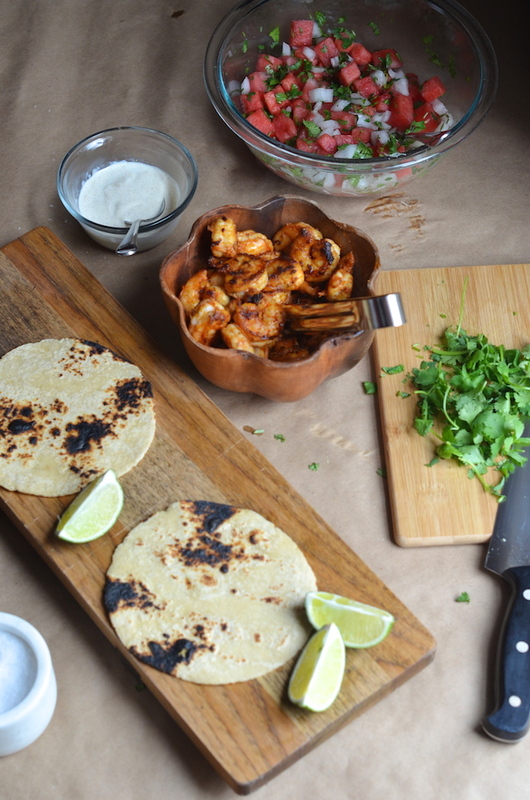 And then all you have to do is cook the shrimp and assemble the tacos! Or, better yet...just serve everything in individual bowls and let your family or guests make their own tacos! Everyone loves DIY tacos! Definitely not being lazy! Nope. 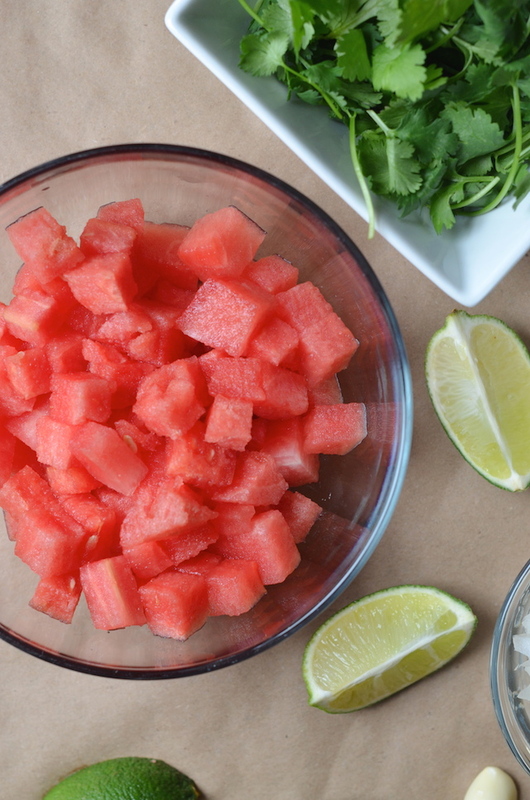 But this watermelon pico de gallo, tho! 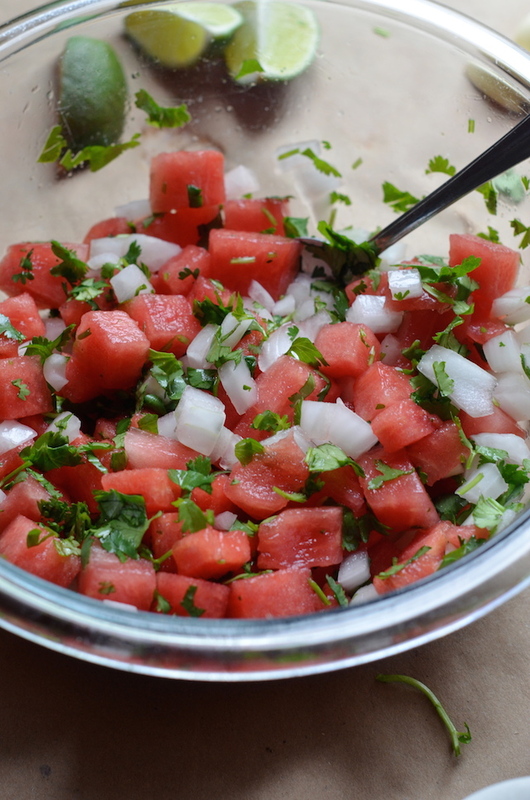 Basically this is a super-simple twist on the fresh Mexican salsa made with diced watermelon, onions, fresh cilantro, lime juice, and a sprinkle of chile flakes. You dice and toss and then let it sit for a couple minutes until all the flavors get friendly with each other. Honestly, all you're basically doing here is swapping watermelon in for the tomatoes. 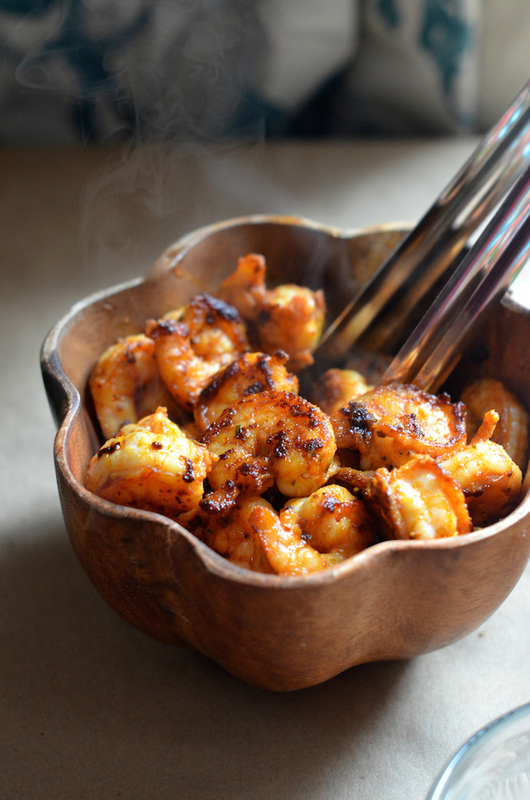 It's not rocket science, but they add just a tiny hint of sweetness that works beautifully with the spicy shrimp and make the whole thing seem so clever and trendy. Note that if you have jalapeño or serrano peppers on hand, you should definitely dice one up and add it to the mix. I didn't and was feeling lazy creative, so I just went with dried chile flakes. A sprinkle of cayenne works just as well. You get your spice. You get some flavor. It's all good. It's summer. Don't stress. It's so flexible and easy to customize. See what you have in your fridge and play around! This is basically my number one cooking rule. Honestly...this is my number one life, rule. Improvisation is my game. 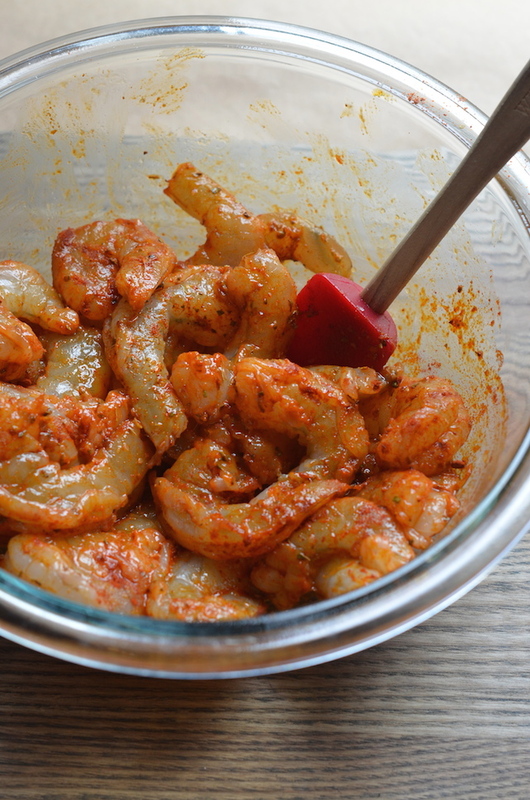 Note that the shrimp can be seasoned and the salsa can be made a few hours in advance--then just cook the shrimp right before serving. It's perfect for parties or busy weeknight dinners. 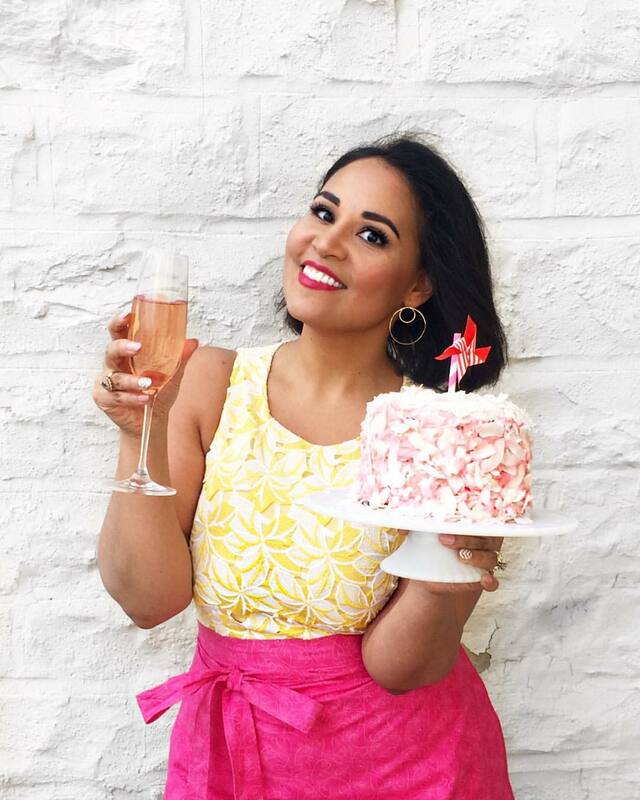 The only other thing you need is a chilled glass of wine or an icy tequila cocktail--or two! Rum works, too. No judgment from me, folks.